Have you ever wondered why it seems that some people have the sun shining on them everywhere they turn, and others don't? The answer has to do with EQ - emotional intelligence - or the lack thereof. In our society, we try to stifle our emotions. We also tend to try to stifle the emotions of those around us. As a result, we never really connect with ourselves which makes it impossible to connect to each other. That is where this guide comes in. You will find 17 strategies for developing each area of EQ. As a result, you will be able to connect on a deeper level to others. This will lead to stronger relationships and, quite possibly, promotions at work. This audio book does not provide the same resources that come with the actual book. It does skip descriptions of scenarios and other important aspects of the actual book. Skip this and buy the actual book to get the most out of it. GREAT book. This has really helped me and I will continue to use it as a reference. Similar to Strengths Finder by using an online test, with the book as mainly a reference to understand and improve results. Excellent information. It would be hard to implement all the advice in this book and perform all the exercises though. The study of our brain is fascinating. I think you might call it the new frontier in both physiological and psychological points of view. 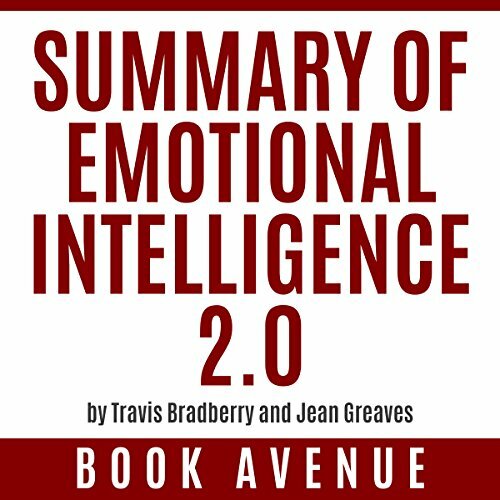 The Emotional Intelligence essential data This book makes me significantly make a couple of data examination viably. This is totally the best one. The Emotional Intelligence basic information. I truly feel Complete Psychologist’s Guide to Mastering with everyone and feel and experience. A must listen for everyone. I was actually impressed by how much useful information squeezed in such a short book. This book causes me to profoundly make a few information investigation effectively. This is absolutely the best one. I really like the easy listening and the excercises well explained. I don't see books like this very often that explain step by step how to put on practice all the concepts. That is just one of the exercises. Master one exercise and take on another. Each one integrates with the other. Instantly actionable these exercises will increase your confidence and help you make good decisions in your life. Highly recommend. tips are easy to follow in Daily life routine. These tips are easy to follow in Daily life routine, especially examples makes it easy to understand the situations and behaviors.This is a good reference to have around when you find yourself less than excited about life and the people you share it with. We should learn to control our emotions. A Practical Guide to Making Friends with Your Emotions and Raising your EQ. Highly recommend this book.